In case you happen to ever find yourself in a dank Detroit watering hole getting tipsy on Stroh’s and arguing with the resident barstool prophet about the sketchy history of the city’s urban affairs, don’t forget to touch upon the fact that a key to the Motor City used to be a bargain at $250,000. At least that was the going rate back in 1980, a few months after some guy named Saddam Hussein became president of Iraq. Iraq and their barely-a-blip-on-the-radar ruler Hussein managed to win the favour of the U.S. by making no bones about wanting nothing more than to make life miserable for their neighbour Iran and its leader, the Ayatollah Khomeini. Sure, Saddam wasn’t exactly someone you’d bring home for dinner with the family, but he hated Iran as much as the U.S. did at the time and that went a long way on the playing field of world politics. Ironically, when Hussein wasn’t busy ordering the executions of stay-at-home Iraqi citizens (the bloodshed started within days of his claiming of the presidency when he ordered 21 government officials be put to death) he made sure to support those he felt worthy of his graces that were living abroad. 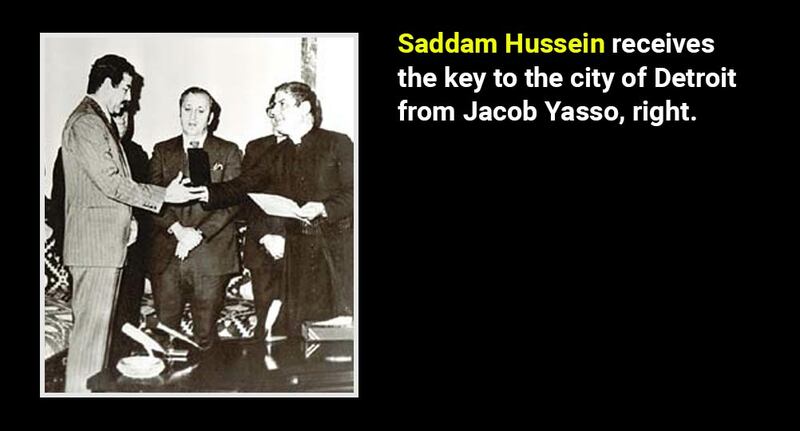 That’s how Hussein first came to know the name Jacob Yasso. 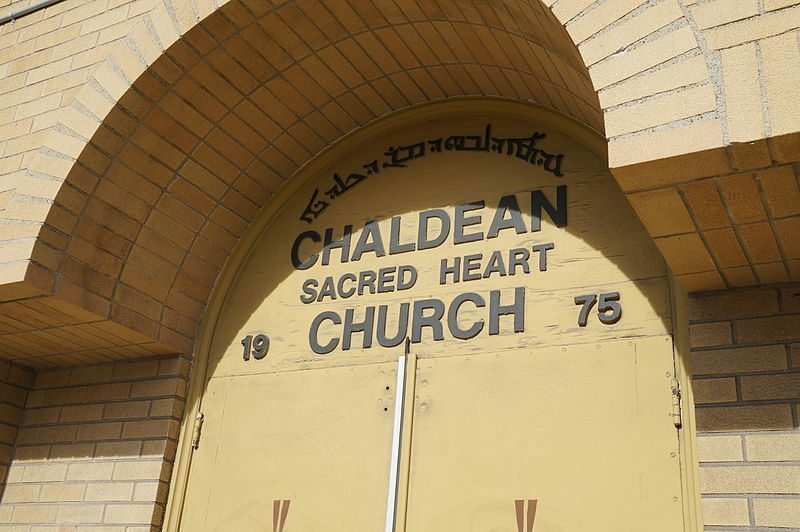 The entrance to Detroit’s Chaldean Sacred Heart. Yasso, who passed away in 2014, was born in Iraq and became a priest in the Chaldean Catholic Church in 1960 after completing his theology studies in Rome. Four years later he was on his way to the Chaldean Sacred Heart in Detroit, a growing church whose parishioners (like many under the Chaldean Catholic umbrella) had ethnic roots based in various regions of Syria, Turkey, Iran, and Iraq. In 1979, when Yasso gave a speech in Baghdad in front of Hussein thanking him for his kindness to Christians, the Iraqi leader responded by cutting a cheque for $250,000 to help the then-struggling Chaldean Sacred Heart. 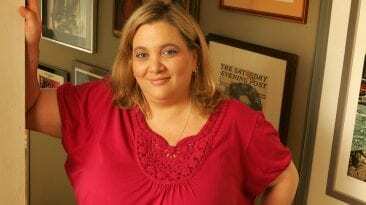 Word of the Iraq leader’s generous gift fell into the ears of then-Detroit mayor Coleman A. Young, and with some gentle prodding from an influential member of Yasso’s parish the key to the city was soon to be delivered to Hussein by Yasso and 25 members of the Sacred Heart community. Reverend Yasso and his entire entourage made the trip to Iraq with all expenses covered by the Iraqi leader, in full high roller mode. Hussein pulled out all the stops for the contingent from America, hosting them in his palace in Baghdad where he was officially presented the key to Detroit by Yasso. He also showed off his generosity again by handing the very surprised Sacred Heart priest yet another cheque, this one for $200 000. That final donation cleared all of Sacred Heart’s debt and left the church with enough cash to build a new parish hall. 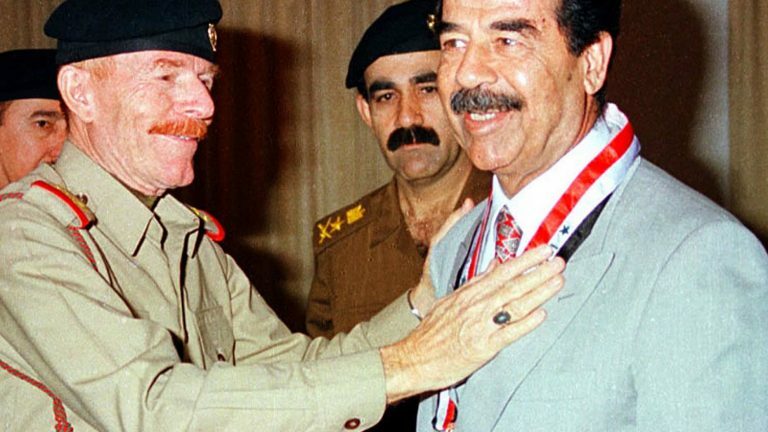 As it turns out the Detroit Chaldeans weren’t the only ones receiving cash from Saddam-he was making donations to Chaldean churches around the world.